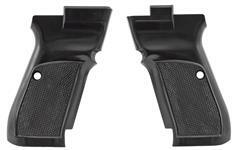 Magazine, .380 ACP, 12 Round, Blued, New (Factory) | Gun Parts Corp. This is a factory direct magazine. It is constructed of blued steel and includes a polymer base.